Lock in a great price for Angels Rooms – rated 8.6 by recent guests! I have been in Ksamil more 2 times, but this house was the best for me.. The owner was perfectly.. We had what we had read on booking ,that the room has. The best place to stay. Near the beach , the supermarket, the restaurant.. See you next year! 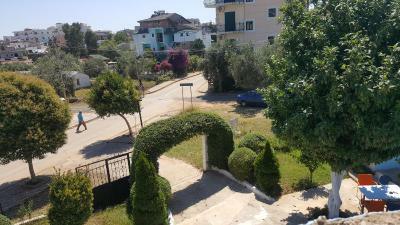 Good location, calm and near the main square and supermarket. Less than 5' walking from the beach. Nice garden and everything very clean. The area is really peaceful and we enjoyed sitting on our balcony in the evening. 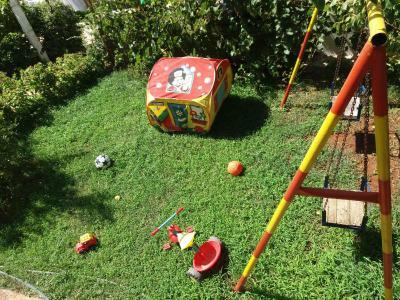 The place looks really lovely with a garden around it, it’s neat and the owner is really helpful. We could park the car on site. Great service by the owner! Would stay here again for sure. Good location. 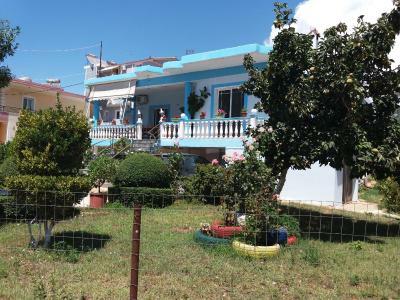 Good value, handy location, short walk to beaches and short drive to Butrint, kitchen well equipped, A/C in bedroom. 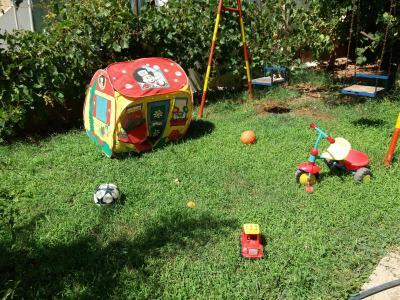 Good location, there is a kitchenette, where there is everything you need, very nice hostess Eva. Large terrace with a table and a pear tree nearby. 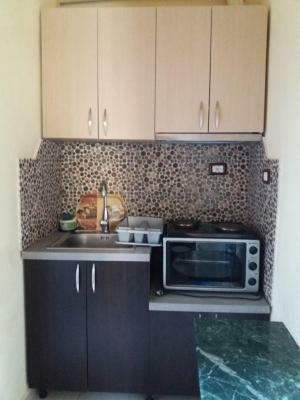 Very good room with bathroom and also a private little kitchen. Very nice terrace. 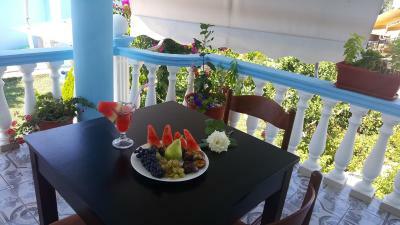 Good facilities for the price.Nice terrace just outside.Short walk to harbour and fish restaurants. 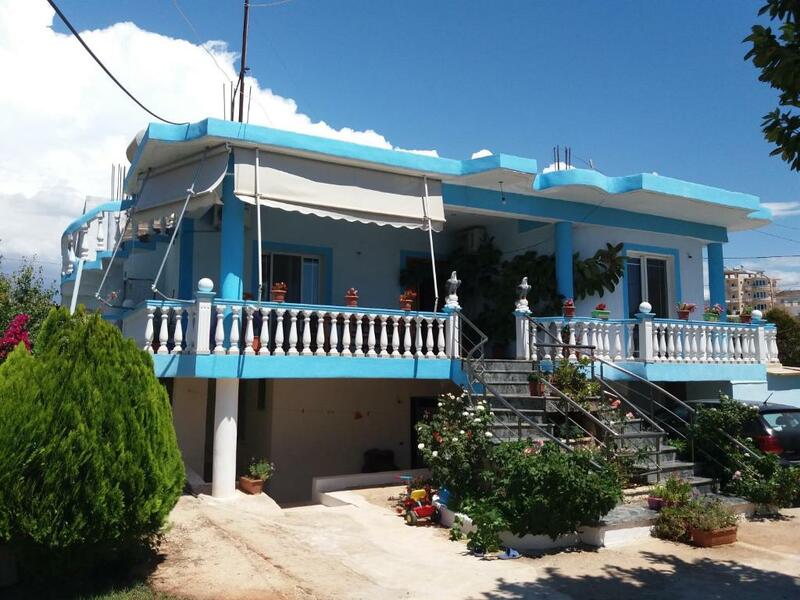 One of our top picks in Ksamil.Featuring a garden, Angels Rooms is located in Ksamil in the Qarku i Vlorës region, 2.1 miles from Butrint National Park. All rooms feature a flat-screen TV with satellite channels and a private bathroom. Free WiFi is included. At the guesthouse, all rooms have a desk. 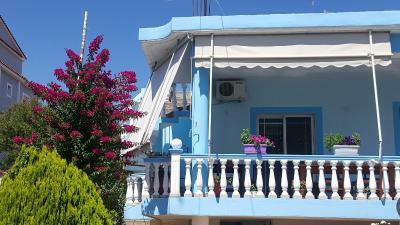 All rooms include air conditioning, and some units at Angels Rooms have a terrace. The rooms will provide guests with a fridge. 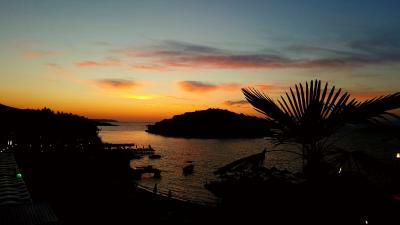 뀐 Located in the top-rated area in Ksamil, this property has an excellent location score of 8.8! When would you like to stay at Angels Rooms? House Rules Angels Rooms takes special requests – add in the next step! The room was a bit cramped because of a huge cupboard inside. The kitchen equipment could have been a bit more complete (some knifes for example). The bath was not very clean, the water in the shower didn't go well. Lots of mosquitoes, wifi didn't worked well (it seems to be a problem only with iPhones maybe, there were other people without problems). Dorm a little bit too cramped. It had no kitchen despite it mentions it in booking. A very nice and helpful host, very close to the sea, a parking place at site. 1/2 of the bed was bad - the mattress needs replacement. The fridge smelled badly of fish.